Along the lines of Is there a depiction of Superman where he is an African American? Was there ANY depiction of Superman as an Asian in the comics or even elsewhere? Yes! At least three of them. 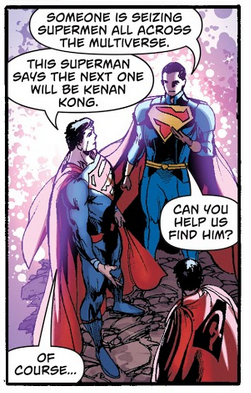 The recent New Super-Man comics feature Kong Kenan as the "Superman of China". Note that he was some kind of replacement after the "usual" Clark Kent Superman died for the nth time. Actually, he was shown to bully a rich kid (because he was the heir to the flight company who managed the plane Kong's mother died in) at first, then was pictured as a hero after facing a Chinese villain. 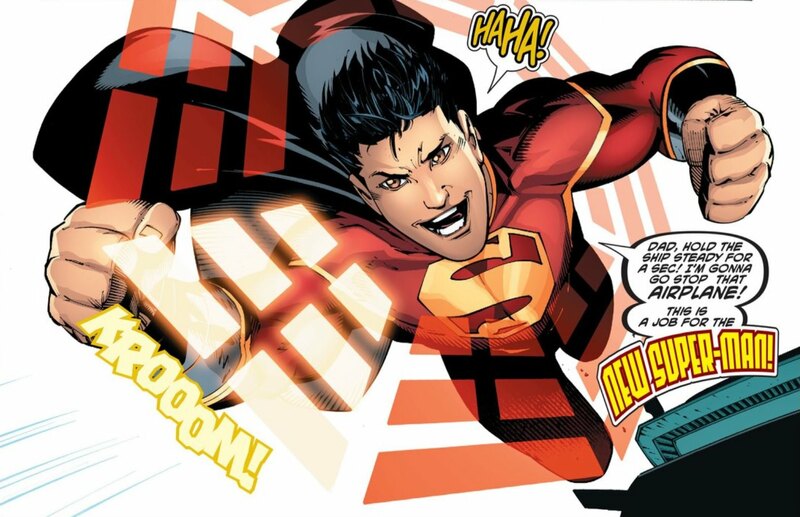 He was selected to be engineered as part of the Super-Man of China project, which had the means to "replicate" Superman's powers. His recruitment as a replacement however, is motivated by a shady branch of the Chinese government. 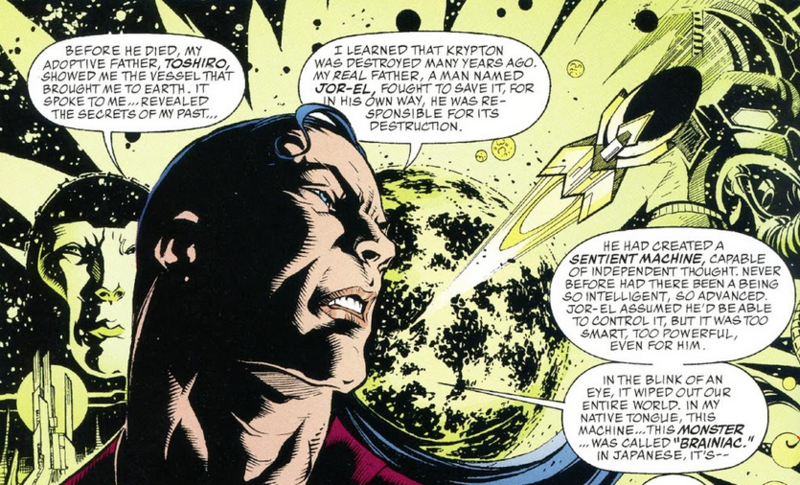 He eventually got to meet Clark Kent in Superman #16, during an arc which featured the villain of the month going after multiple Supermen across the multiverse. Up to oneself to decide whether that acknowledges him enough as a Superman! You might also want to know that there are several other heroes in this arc as well, like Chinese Batman and Wonder Woman. 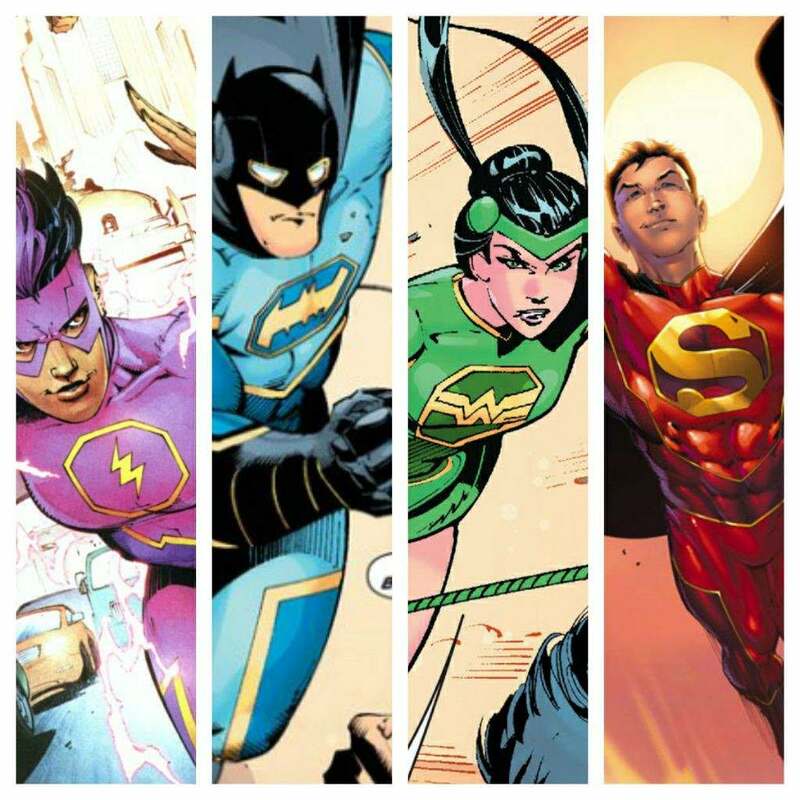 They are the Justice League of China. 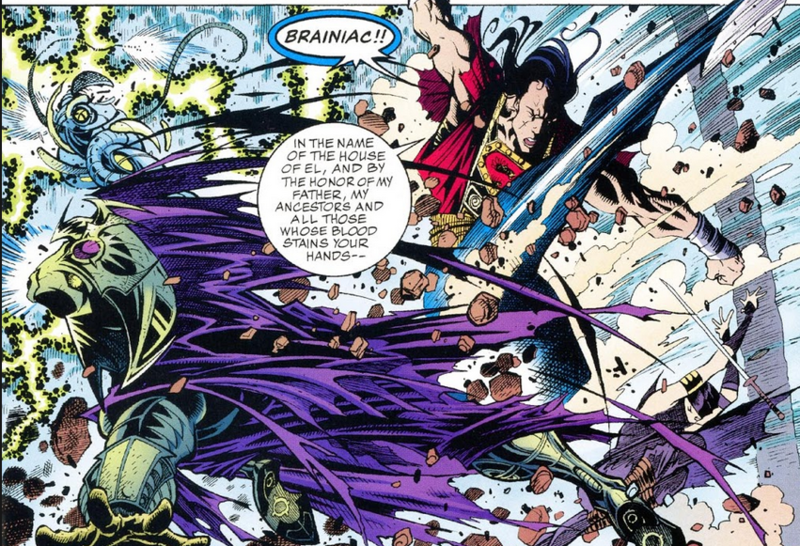 In the 2002 Elseworld JLA: Shogun of steel, Kal-El's rocket lands in Feudal Japan. He is raised by a fisherman who names him Hoshi, his son of the stars. Thanks to Pharap for pointing out that "Hoshi" (星) just means "star", and "star son" would have to be "Hoshirou" (星郎). 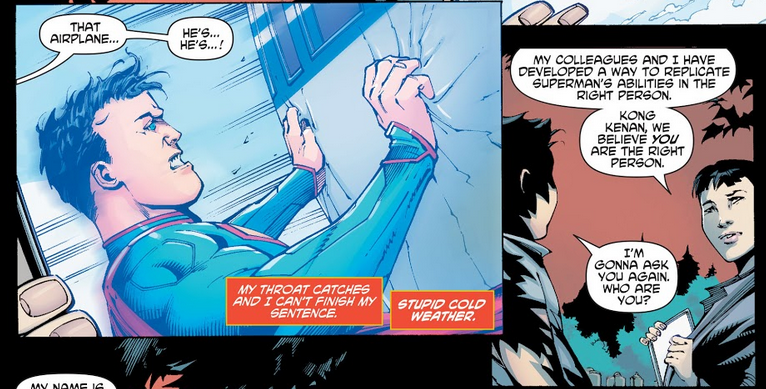 He's able to wield a katana, but don't worry, the final fight involves the traditional Superman way of solving issues with punches, while dressed with the brand "S" symbol. Superman of Tokyo (2015) is part of the DC Nation shorts. It features an aging Superman giving his cape and his mantra to Kenta, son of the Japanese equivalent of reporter Lois Lane. Kenta then takes part in world (or at least Tokyo) saving from a giant robot. For all its... unusualness, the short still features a depiction of Superman, who is Japanese, and is stamped DC. Dean Cain, who played Superman in the 90's TV show Lois and Clark, is actually 1/4 Japanese, and does identify as Asian American. However, by looks, I could see the audience not necessarily reading the character to be Asian American, and of course, Superman himself being an alien from Krypton, calling the character to be of any particular ethnicity is kind of a misnomer. 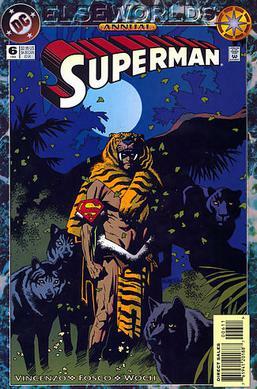 In Superman: The Feral Man of Steel (Superman Annual #6), an Elseworlds story, the infant K'L'L lands in India in the 19th Century and grows up in the wild. This version of Superman has the appearance of a dark-skinned Caucasian of South Asia. While this may be toeing the line between Eurasia, we do have a depiction of Soviet Superman, and Russia is technically in Asia (even if it shouldn't be culturally). 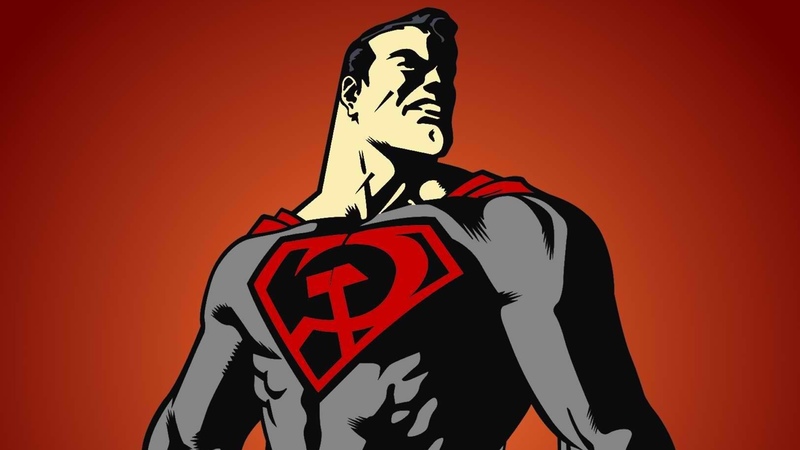 In Superman: Red Son his ship lands in Ukraine instead of Kansas and he becomes a "Champion of the common worker"
I have never seen or heard of any clear depiction of Superman as anything other than the American of European origin that portrayed him in the original series. I specifically recall his motto of "truth, justice and the American way" being voiced over film of him standing with arms folded and cape flowing. I think your question is interesting and yet your search better directed to characters of a similar nature with a known Asian origin. Aside from the films of several Chinese action stars such as Jackie Chan, Jet Lee, and Bruce Lee, most of us here in the US are completely ignorant of superhero film or comic book characters of an Asian (or any other non-European) origin. To my taste, remakes transposed to other cultural regions are often uninspired. The inspiration of the original is lost, if there was any to begin with. Not the answer you're looking for? Browse other questions tagged dc comics superman or ask your own question. Why No Traditional Villains in Adventures of Superman? What did Adventures of Superman use from the comics and what was later added from the series? Does Superman have a son? In DC (Flash), is there any comic version of Iris West Allen which isn't Caucasian? What are the differences between the pre-crisis Superman and the post-crisis Superman? Why is this character called “Composite Superman” and not “Composite Batman”? Has Superman ever been depicted to smoke and/or consume alcohol?